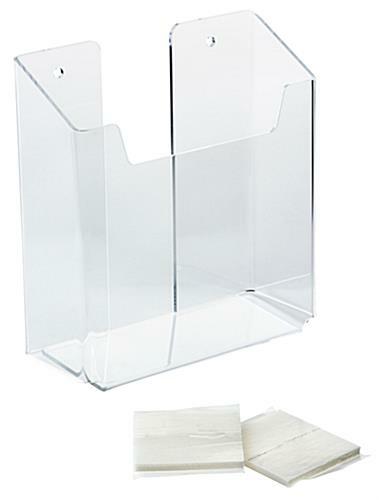 Wide Pocket for 5.5" Magazines or Brochures. 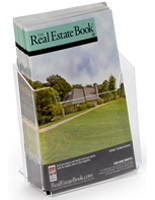 Notch in Front Makes it Easier to Grab Placed Pamphlets. 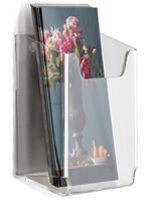 Mounts Using Pre-Drilled Back Holes or Provided Sticky Tape. 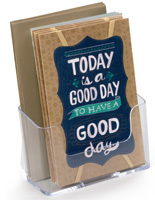 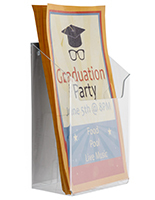 The hanging acrylic literature rack is great for businesses or waiting rooms that don’t have lots of room on counters because it is used on walls. 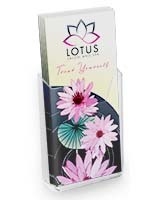 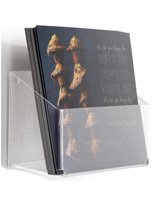 The magazine holders are great for smaller catalogs or brochures that measure 5.625” wide and because the display is 2” deep it requires less filling. 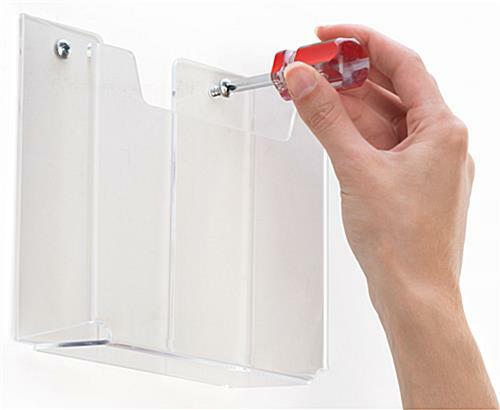 The literature rack with plastic structure is able to mount in one of two ways: using the holes in the back that have been pre-drilled for screws, which must be provided by customers, or by using the included double-sided mounting tape. 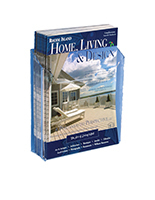 The clear display is able to show customers exactly what is stored in the magazine holder for less hassle of thumbing through pamphlets. 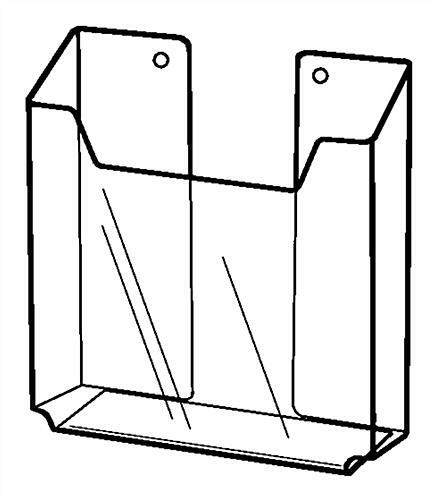 The rack is durable because of its plastic construction and will last. 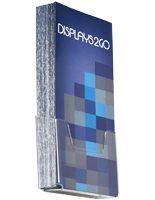 Mount the fixture to walls close to exits or entrances to grab attention while people are coming or going. 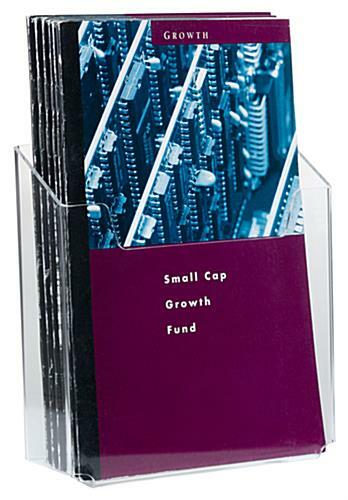 5.6" x 6.0" x 2.0"